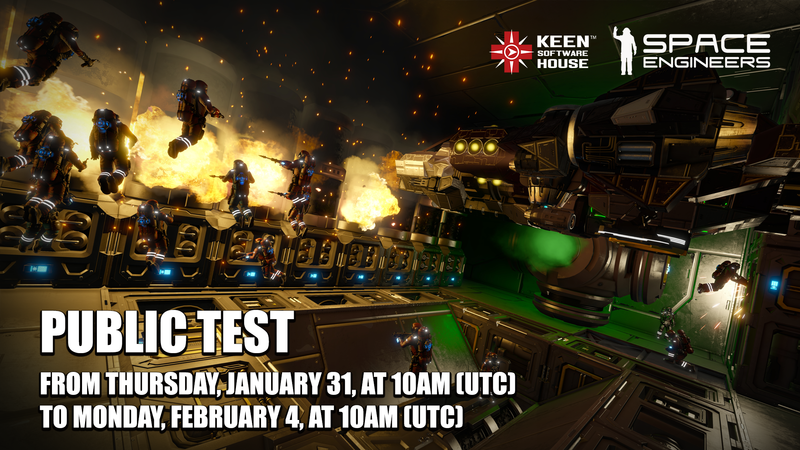 If you answered “yes” to the aforementioned question then you should totally participate in the next [b]Space Engineers public test! As always, we encourage everyone to try out all of the new features. Players will be able to submit their feedback on all of these features via a survey at the end of the test. 2. You will see 2 things now, a drop down menu and a text box to enter a beta access code. Enter the password provided here and choose playtest branch from the drop down menu. There will be 2-4 servers for this public test; the number of servers will depend on how many engineers suit up for this test. If you’re not able to participate in this public test, don’t worry! [b]We’re planning to have another one soon. We’ve also updated the general use of emissive colors when players are interacting with blocks, which is designed to give engineers more feedback when they’re interacting with blocks, as well as systems. Green = Functional, powered blocks that are ready to be used. Red = Blocks that are turned off i.e. no power. Blue = Blocks that are being used. For example, occupied cryo or the projector projecting, etc. Black = Blocks that are damaged. Yellow = Something is missing in relation to this block (no uranium, no oxygen, etc..).